America was born a Christian nation. America was born to exemplify that devotion to the elements of righteousness, which are derived from Holy Scripture. Ladies and gentlemen, I have a very simple thing to ask of you. 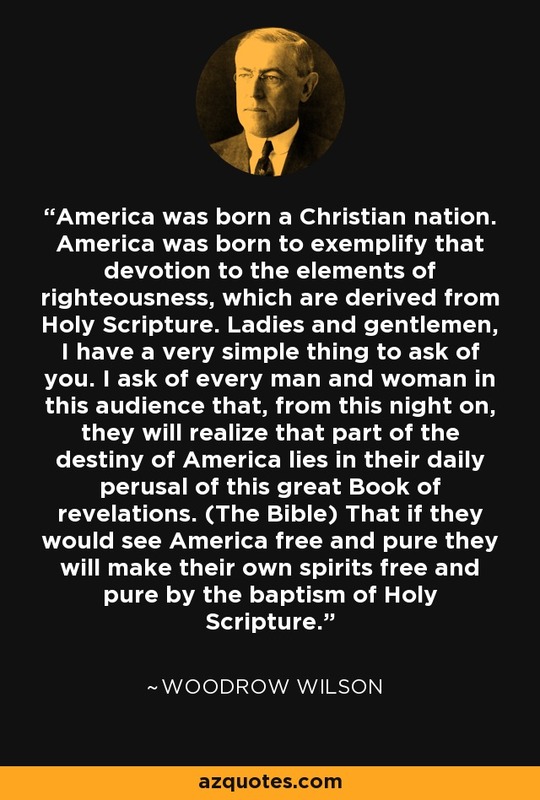 I ask of every man and woman in this audience that, from this night on, they will realize that part of the destiny of America lies in their daily perusal of this great Book of revelations. (The Bible) That if they would see America free and pure they will make their own spirits free and pure by the baptism of Holy Scripture.